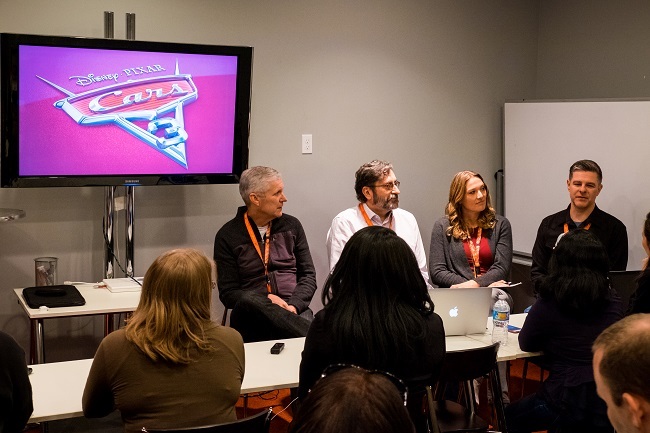 The “Story of Our Story” presentation included writers Kiel Murray, Bob Peterson, and Mike Rich and CARS 3 Story Supervisor, Scott Morse. 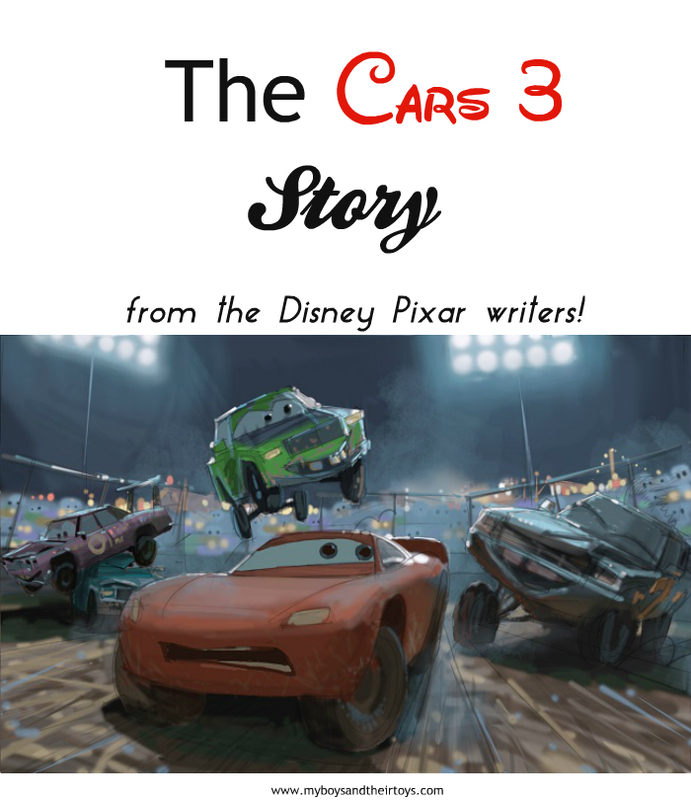 So what would the Cars 3 story be about? Rich added, “If you consider the fact that Cars 3 is really kind of a third act of the overall story, it makes sense that McQueen is now past the halfway, probably a little bit further past the half way point of his career as well.” As part of their research, they met with athletes like Kobe Bryant, Jeff Gordon and Michael Jordan who have been in the same position Lightening McQueen is now facing. Research trips. 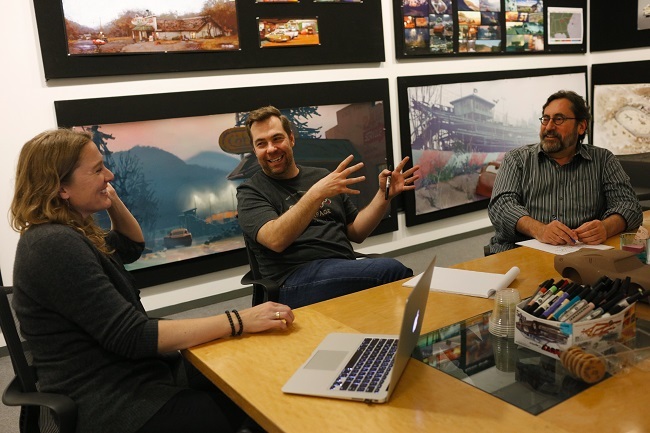 Peterson shares, “One of the most fun parts of this process is living in the material, living in the source of the material, trying to immerse yourself in that acetic and really understand the emotions and stories and history of what you’re trying to put up on the screen and have truth in the materials.” The team visited sporting events like the Daytona 500, and the American south to dig up as much deep history as they could. They walked old ghost tracks, and talked with vets like Richard Petty, and others that were apart of the sport. 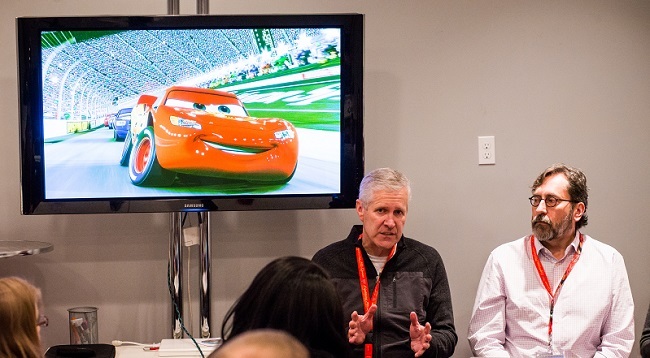 We attended a few additional presentations about Cars 3, which I’m excited to share with you all very soon! For now, check out the latest Cars 3 trailer below, and stay tuned for more insider information! Look for Cars 3 in theaters this summer (June 16th)! What a fun time! My nephew wants to see this movie. What a great behind the scenes look! My grandsons can’t wait to see this movie!! My kids love the Cars movies and this new one coming out next month is going to be so much fun to watch in the theater!